Size: 24 in. x 36 in. When Andrew first joined the gallery in the spring of 2018, he immediately sold my coveted Oak. It was smaller piece and sought after by many, many collectors. I promised him that if he continued selling we would have a show featuring the OAK. 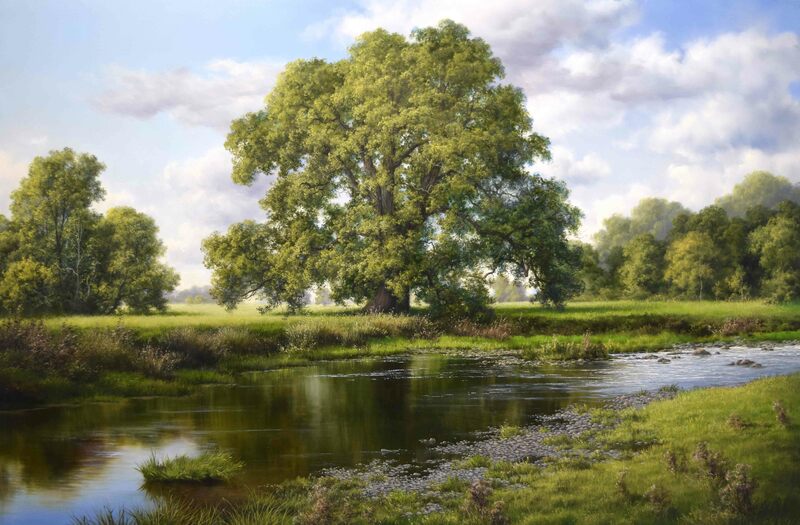 So here it is, from Wales, England “THE MIGHTY OAK”, a truly amazing tree…plus stream and intricate grasses. Viewing in person, you will be totally amazed. 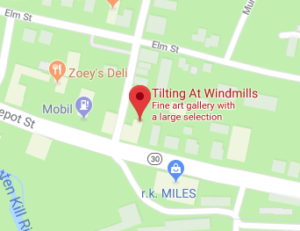 One of New England's largest fine art galleries, Tilting at Windmills features a broad selection of work by important regional, national, and international artists. While quality and visual appeal are paramount in choosing the artwork we offer,we also select with an eye towards investment and potential appreciation in value for our collectors.